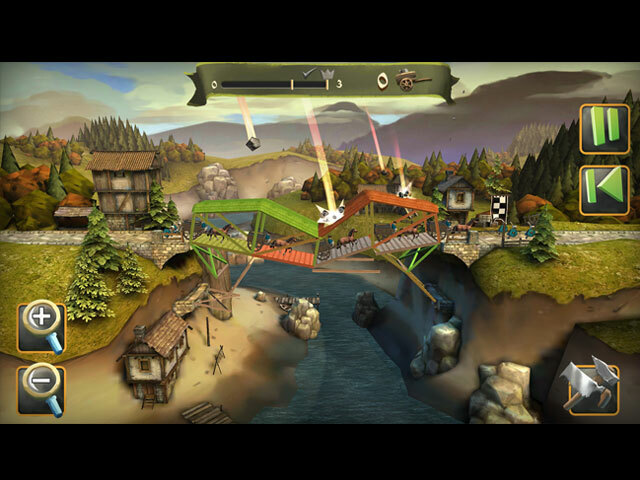 BRIDGE CONSTRUCTOR: Medieval game download. 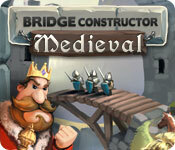 Free download BRIDGE CONSTRUCTOR: Medieval for Mac. Turn back the clock a few centuries, to the time of knights and castles! Build sturdy bridges to supply your city with provisions. Construct bridges that collapse under the weight of attacking troops and send the horde of enemies into the abyss below! Protect your foot soldiers and your horse-drawn carriages with covered bridges and stable pillar structures. 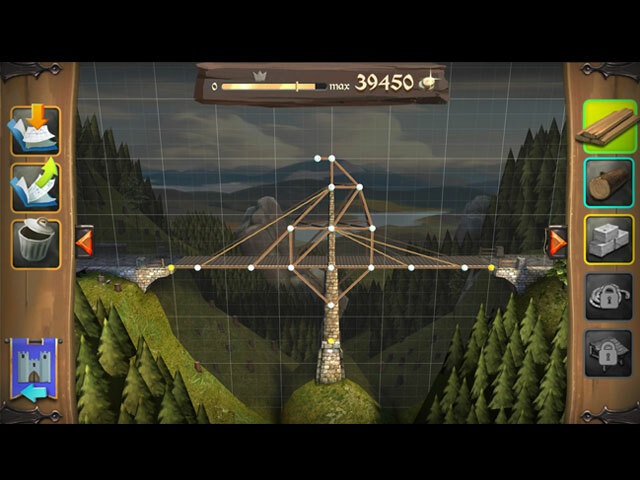 There are a total of five materials available to help you build the perfect bridge: wood, heavy wood, stone and ropes, along with the new addition to the bridge roof. Discover an exciting background story and familiarize yourself with various materials on a step-by-step basis. Learn everything you need to know so that your bridges meet the requirements of the different levels. Veterans – try your hands at new game modes. Beware the unique bonus challenges will leave even the most experienced players at their wit’s end! 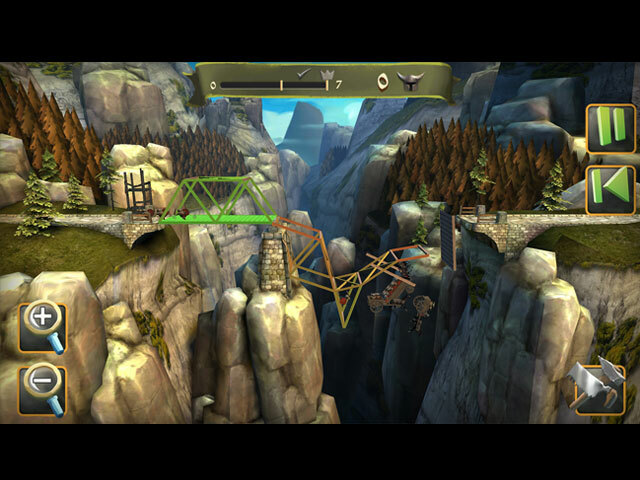 Dive into the Middle Ages and play the successor to the worldwide #1 hit, Bridge Constructor!